Shows a single random post short description. 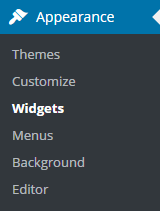 Navigate to Admin Panel -> Appearance -> Widgets. 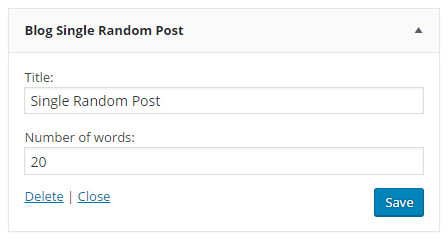 Select Blog Single Random Post and drag to some Widget Area - choose where the widget will appear on the page from the options provided. The Widget box will appear in selected area. Make the appropriate changes. Title - Enter a value in the box provided to choose a title. Number of worlds - Enter a number of post words to display.